New Student Special Introduction Packages—Learn more or SIGN UP TODAY! This class tones and lengthen muscles while increasing strength, flexibility and endurance bringing together the best of both mat and reformer equipment. Reformer Plus classes provide a beginning- to intermediate-level workout that builds on the basics by gradually adding more challenging exercises that require greater strength and flexibility. Intermediate/Advanced Reformer Plus classes brings together the mat, reformer, Ball, BOSU, V2 Max Reformer and Chair into one great workout. During each class, your instructor will bring a new focus to the class by adding in one or more of these equipment pieces for a very – challenging workout! The Booty Barre® Method is a workout that fuses techniques from dance, pilates and yoga that will tone and lift the whole body. You don’t even need dance experience to try this fun, energetic class! The Booty Barre Method is the perfect combination of strength and flexibility utilizing a ballet barre, with added cardio to burn fat fast! Mat classes are designed to tone abdominals, increase overall strength and flexibility on the floor with mats. Our pilates mat class are appropriate for beginners and yet challenging enough for the seasoned pilates student. 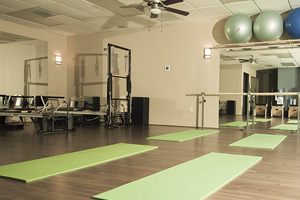 Students will apply pilates principles while gaining core strength in a fun, supportive atmosphere. Props such as bands, rings, weighted balls, balls and bosues will be used to challenge and keep the workout interesting. New exercises will be introduced as the class progresses. This is a high-level, fast-paced class conducted on the floor with mats. It helps students progress to more advanced levels of fitness by incorporating complicated and challenging exercises that require flexibility, strength and endurance. Students will use props such as bands, rings, weighted balls, large balls and bosues to keep the workout fun, interesting and challenging. Reformer classes use the reformer equipment to tone and lengthen muscles while increasing strength, flexibility and endurance. This class provides a beginning- to intermediate-level workout that builds on the basics by gradually adding more challenging exercises that require greater strength and flexibility. This advanced-level workout is designed for those who are already comfortable with the intermediate-level reformer workout and ready to pursue more difficult exercises requiring greater coordination, balance and endurance. This is a fast-paced, fun, challenging workout combining pilates exercises in a circuit environment. This class is for those that already have a basic pilates foundation, are in good health, and want more of a fast paced cardio challenge. This class offers a fast calorie burn, while also strengthening and lengthening the muscles! One hour private workout designed specifically for your needs, abilities and goals. 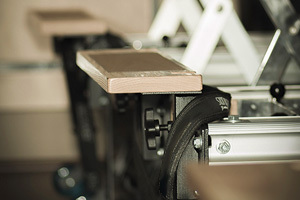 Class provides an introduction to STOTT PILATES® Five Basic Principles while using STOTT PILATES® Reformer, Stability Chair, BOSU®, STOTT PILATES® Stability Balls, Mat and other small equipment. Learn how to correctly and safely build core strength and flexibility. Individualized attention is perfect for those who have precise goals or training plans. One-on-one classes designed to help clients to achieve goals faster. Class times are tailored to fit your schedule – allowing you to work out when it is convenient for you! One hour class with you and another person conducted on the STOTT PILATES® Reformer, Stability Chair, STOTT PILATES® Stability Balls, BOSU®, Mat and other small equipment. 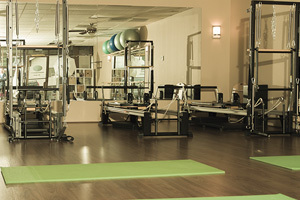 Class provides an introduction to STOTT PILATES® Five Basic Principles. Learn how to correctly and safely build core strength and flexibility. Classes are great for more individualized attention than a group class, for those who have specific goals or training plans. Class times are tailored to your schedule allowing you to workout when it is convenient for you!